At TruckingTruth we get a lot of questions asking whether or not carrying a weapon, especially a gun, is legal or not in a commercial vehicle. Unfortunately the answer is almost always "maybe" and will depend upon many layers of laws which govern the location you're in, the permits you're carrying, and more. We've contacted The Rosenblum Law Firm and asked them if they could help clarify the situation for us and they kindly responded with the information below. We very much appreciate their time and efforts! Many CDL drivers find themselves venturing through or delivering loads in neighborhoods where a bit of personal protection sounds reasonable. But it can be difficult to know when it is and is not legal to carry a firearm on your person or in your cab. Unfortunately, there are many legal layers to be parsed – federal, state, and local – and there is no one, single, universal answer. That said, here is are some broad guidelines that should help truckers in most scenarios. The Firearms Owners’ Protection Act (FOPA) allows the transportation of legally acquired guns across state lines under certain conditions. You must lock up the weapon, unloaded, and place it in a location that makes it not immediately available (i.e. not the glove compartment or under the seat). The ammunition must be stored separately. While nothing matches a gun for level of protection, you may also want to consider having a non-firearm weapon more readily available when traveling through states that don’t recognize your permit. Of course, you need to be aware of when and where those weapons are valid too. For example, brass knuckles, ballistic knives and similar weapons are illegal in New Jersey. A stun gun/taser can be purchased and carried without a permit in California and Texas, but is prohibited in New York and Rhode Island. If there’s one thing that is certain it’s that carrying a firearm in your truck can lead to unexpected problems. A state that allows concealed carry might have a city or district that does not. For example, even a New York State-issued permit is not valid in New York City. Plus, your employer may have rules regarding this, so make sure you ask before accepting the job and be sure to check out their handbook, if they have one. No matter what happens, if you find yourself in legal hot water because of your firearm, make sure you hire an attorney to help sort it out. Adam H. Rosenblum, Esq. is the principal of The Rosenblum Law Firm. An experienced and skilled criminal defense and traffic violations attorney, Mr. Rosenblum has a reputation for aggressive representation for anyone facing criminal charges and traffic violations that may result in jail time, heavy fines, points and license suspension or revocation. 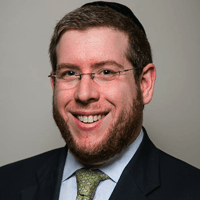 Mr. Rosenblum is admitted to practice in all state and federal courts in both New York and New Jersey and takes cases statewide in both states.